You could have your Tarot deck on Tarot.com! Want to have your Tarot deck design featured on Tarot.com? Now's your chance to make your wish come true! Introducing Tarot.com's Design A Deck Tarot Contest, in honor of World Tarot Week 2013. 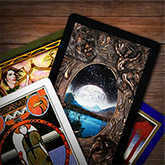 From May 20-26, 2013, submit three Tarot cards from a Tarot deck you designed. Then we'll open up voting to our Tarot.com and Facebook audiences, and they'll pick their favorite entry! The prize? Get your complete Tarot deck featured on Tarot.com! The winner of the Design A Deck Tarot Contest will have his or her complete 78-card Tarot deck featured on Tarot.com for 30 days. 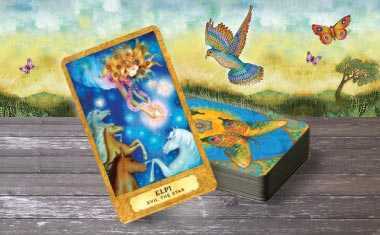 The cards will be made available to all Tarot.com members to view and read about, and the deck will be made available to our members for use in our online Tarot readings. Entries to the Design a Deck Tarot Contest must be submitted via email to support@tarot.com. All entries must include three individual designs, and must be The Fool card, the Wheel of Fortune card, and the 3 of Swords card, as well as your name and email address. 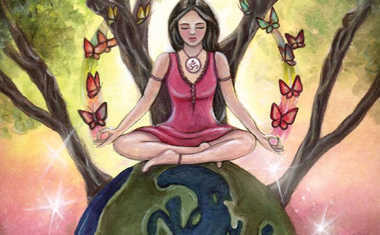 Learn More About World Tarot Day™!